With his distinctive ideas and innovative way of making things, designer Issey Miyake has been challenging the concept of clothing consistently through his creative exploration. 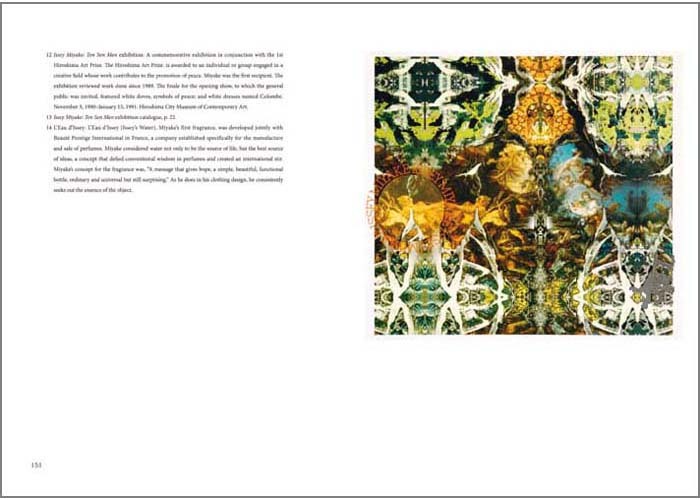 From TASCHEN’s ultimate monograph Issey Miyake (first published in February 2016, concept and editorial direction by Midori Kitamura), this new book recompiles 8 chapters of Kazuko Koike’s essays and an extended, newly-written final chapter. 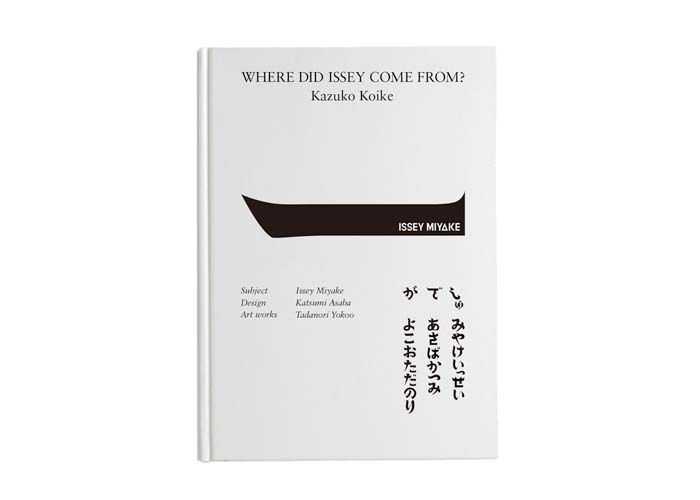 In this book, essays by Koike, who has been known Miyake since school days and has observed Miyake’s activities since then, wittily describes Miyake’s outstanding achievements and creations in the context of the time background. Written from Koike’s unique point of view as a creator herself underpinning creative culture of the same generation, this can be enjoyed as an interesting documentary of the times. 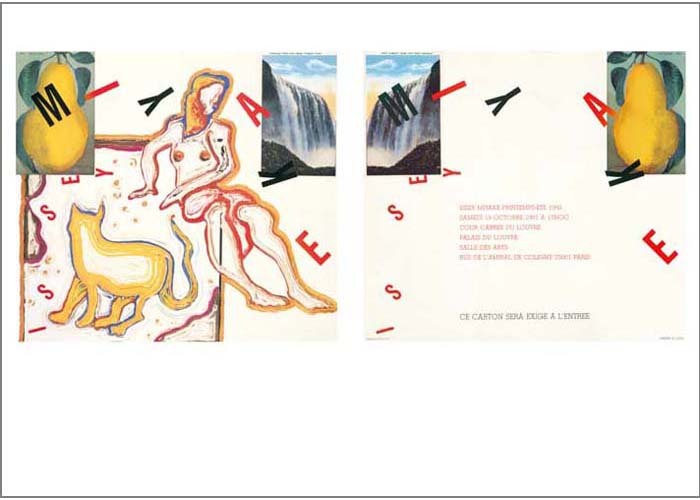 To mention other special features of this book, around 30 artworks by Tadanori Yokoo, originally used for Issey Miyake’s invitations cards for Paris Collection during the years from 1977 to 1999, are introduced in each chapter. 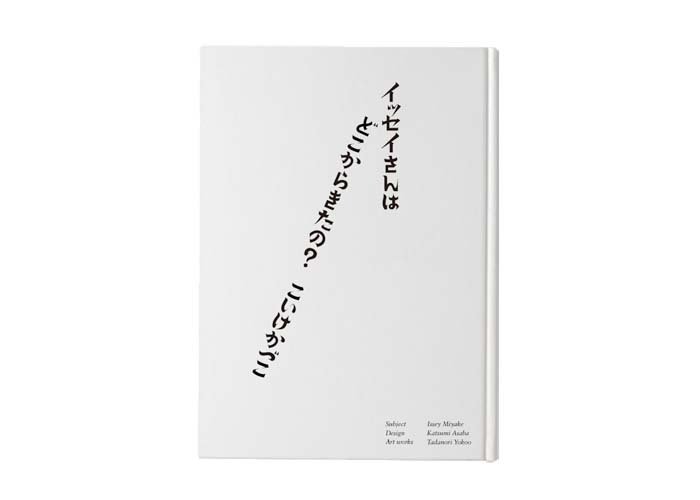 The combination of the stately sense of vertical Japanese typesetting using letterpress printing and sophisticated atmosphere in horizontal English typesetting; virtuosic skills of the graphic designer, Katsumi Asaba further adorn the book with perfection. Born in Hiroshima in 1938. Graduated from Tama Art University. Established Miyake Design Studio in 1970. 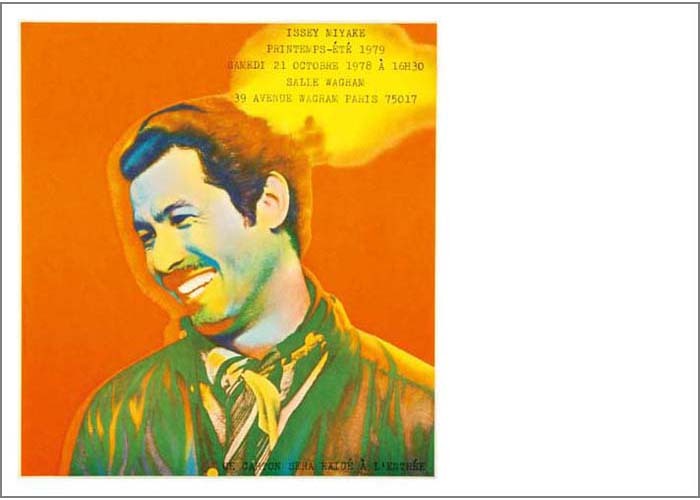 Began participating in the Paris Collections in 1973. 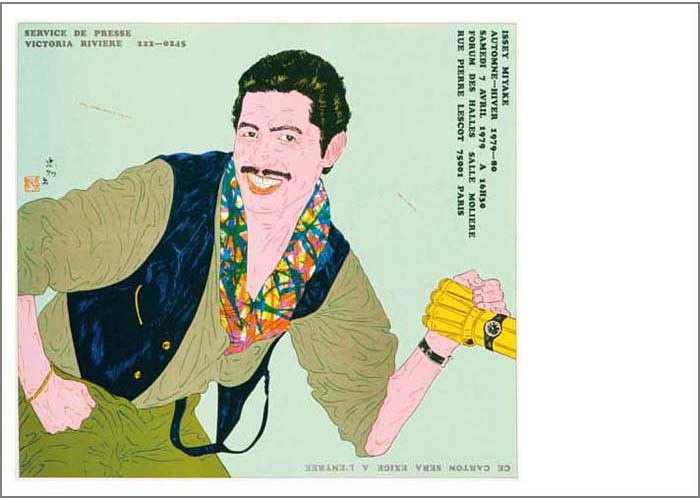 From the very beginning of his career as a clothing designer, he has worked on creative endeavors that examine the relationship between the body and cloth, based upon the concept of “A Piece of Cloth”. To this day, he consistently maintains the stance of making things free from preconceived notions and through a process of tenacious research and experimentation. Born in Tokyo in 1936. Graduated from the School of Arts, Letters and Sciences, Waseda University. Involved in the startup of MUJI in 1980 and continues to serve on its advisory board. Provided planning and direction for numerous exhibitions, including Gendai Ifuku no Genryu Ten – Inventive Clothes: 1909 –1939 (1975, National Museum of Modern Art, Kyoto), Shojo Toshi at the Japanese Pavilion in the Biennale di Venezia Architettura (2000), and Ikko Tanaka and Future/ Past/East/West of Design (2012, 21_21 DESIGN SIGHT). 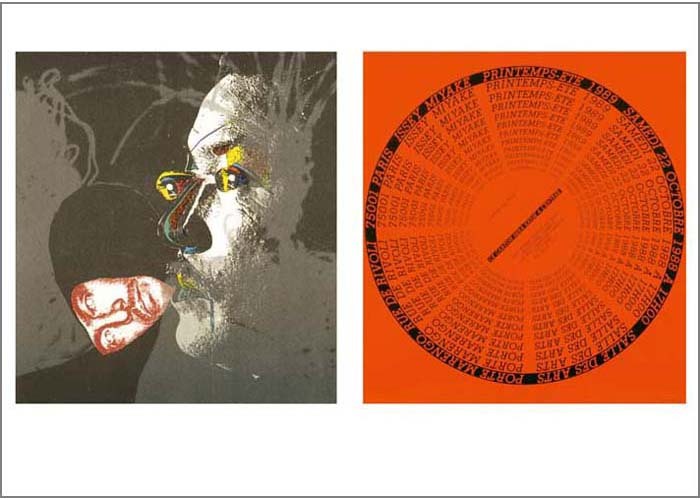 In 1983, developed and led the Sagacho Exhibit Space as the first alternative space in Japan and was instrumental in introducing many notable contemporary Japanese and international artists (continued to 2000). 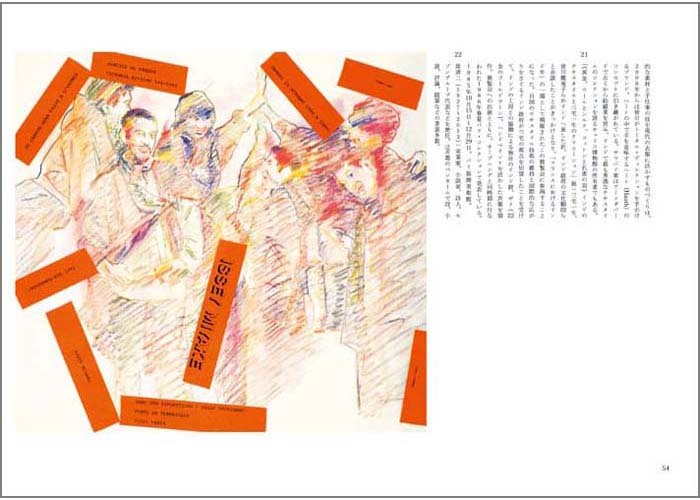 Editor of numerous volumes, including Issey Miyake East Meets West (Heibonsha Limited, 1978). Professor emeritus, Musashino Art University. *Shipping cost will be calculated according to the total price of your order.